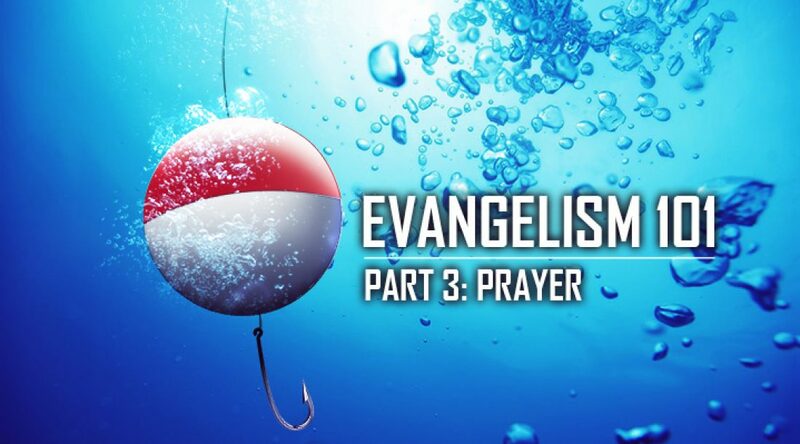 In Evangelism 101 part 1 and part 2, prayer has been identified as a necessity, so this title shouldn’t come as any real surprise. The message we have is divine, the topic is divine, and the source of our life is divine. The authority which we now submit to is divine and the power to deliver the message is likewise divine. You cannot in the flesh do this with either success or the pleasure of God. The early church prayed together, praising God, supplicating to Him their concern and need. They begged Him to move in a divine way. And the God of heaven responded by shaking the earth. Without going into lengthy dissertations about how to pray or types of prayers in Scripture, brothers and sisters let me encourage you, He wants to hear from you. He wants to have a nearness and intimacy greater than a father/son relationship. He wants to glorify the darling of heaven, His own wonderful Son, Jesus. He wants to magnify and declare the Son through you. If we want to see the gospel go forth with power and in the Holy Spirit and with much assurance, then pray. Here are some devotional thoughts on prayer related to the gospel message. We have nothing but frail bodies, limited intellect, a flesh nature that betrays the best of men, and finite time. God, the Creator of time and space has power. At the moment of salvation we have the Son of God who overcame the grave, who was raised from the dead by the Father. That’s power. Ask Him to make His power, His presence, and His life evident through you to the glory of the Father. We have a flesh nature that betrays the best of men. God has knowledge of matters too weighty for us. He weighs our spirit (Prov 16:2) and our hearts (Prov 24:12). The Holy Spirit quickens our mortal bodies and makes intercession for us. He bears witness with our spirit and helps our infirmities. We have the habit of making promises we cannot keep. God cannot lie (Titus 1:2), for He is not a man that He should lie (Num 23:19) Jesus Christ gives us eternal life (John 5:24). The Father gave us eternal life in His Son (1 John 5:11). We should pray for the soil. We should pray for God to turn the fallow fields so the seeds can spawn life. We should pray for the Father to call lost souls to repentance and faith in His Son. We should pray for the Spirit to convict of sin, righteousness and judgment. We should pray for the Son to draw men to the Father. We should pray for His life to be evident in us. We should pray for boldness. Beforehand, I have at times prayed for the spot in which to preach. I have prayed for the Lord to divinely appoint interactions with people, for open ears and eyes. You can pray for the Lord to lead your steps to the exact spot or person. Others have prayed for protection. I have prayed for a storm to delay until I was done, and He answered. I have prayed for strength and He provided nourishment or other believers to encourage me. During, I have prayed for a steady hand or voice. Frequently, I pray that the Lord will give me recall of His living Word. Words, that His Holy Spirit will use it to convict and lead into all truth. I have prayed for logic that cuts past mere human wisdom and tradition. Afterward, we should pray for those that we spoke to, for those that passed by and those that we were unaware of. We should pray for God to bless the words spoken. I’ve prayed for my fellow workers both with me and those laboring around the globe. I pray for light, and life and fruit. My brother in the Lord often reminds me there are 530 million people on our island (N. America). Each one of them needs to hear the gospel either unto salvation or for their encouragement. That’s a staggering number for one person, unless that person is Christ Jesus the Lord. You can’t save a soul. You can’t reach 530 million people. You can’t convict anyone. You can’t see the depths of another’s need or anguish. I’ve prayed silently, and vocally. I’ve prayed in person, with hands held up or on a shoulder or on my knees and I’ve prayed via email, phone and group text. So mostly, I pray for boldness and that Christ Jesus the Son of the living God, heir of all things would receive maximum glory, praise and honor. Let’s pray. That which has weighed heavy on my heart for 6 months, you have put down in black & white. Whether we have experienced some joy, sadness, trials, victories, salvation of a loved one, loss of a loved one, a prayer answered, etc. We should run to our Father and share with Him first….our cares and concerns, praises and thanks. The power of prayer is GREAT ! What tremendous privilege it is to approach the throne of grace, express ourselves…and take time to listen, as the Holy Spirit will give us things that we ought to pray. What a God we serve ! !